Today's youth are tomorrow's leaders. 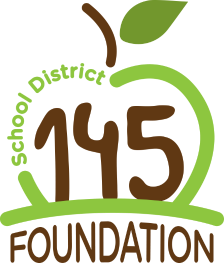 The School District 145 Foundation for Education is committed to "Securing the Future By Serving Education", and youth character development is integral to our future. A young person's character shapes their destiny and directly impacts their community. Research shows that students with high social-emotional learning and character skills perform better academically and take responsibility for the culture of their school. We want a school community where everyone is treated with dignity and respect. In great communities, people hold one another accountable for behaviors, and we stand up for one another. When we are connected and feel a sense of belonging, we treat people better. We treat ourselves better. Character traits are built and enhanced by experiences throughout our lifetime.  Our Foundation has invested over $80,000 in character education to give School District 145 students meaningful Character Retreat experiences. These Youth Frontiers retreats empower an entire class to act with greater character and identify the social fears and peer pressures that impede responsible decision-making. These retreats act as a catalyst for positive change in schools. Every School District 145 student in grades 5, 7 and 9 attend an annual Youth Frontiers Character Retreat courtesy of the School District 145 Foundation for Education. "This retreat is a high-energy day designed to give students tools to develop empathy, promote kindness and prevent bullying. Kids are empowered to be "everyday heroes" by using kindness to include others, be respectful and make our school a better place." "This day inspires students to follow their hearts instead of the crowd, use moral courage and make responsible decisions despite their fears. Kids are empowered to be themselves and take positive risks that make a healthy difference for themselves, their peers and their school." "Students experience what school would be like if everyone was respected, and are challenged to respect themselves and others. We empower students to respect themselves more, and we engage the bystanders to stand up for the value of respect in their school."